I am so excited to know that I have some new guests for "Sweet Tea" today. Some of you have stopped by for a visit after our meeting yesterday in Green Bay, Wisconsin at Lifeway's Fully Loaded. Others of you have stopped by after visiting the Proverbs 31 Ministries Daily Devotion. I feel very honored to have you and look forward to getting to know you. If you will leave a comment I will stop by and see you over the next few days! We had such a RIDE yesterday here in Green Bay. God showed up for us didn't he ladies!? The thing that struck me most yesterday was the deep pain and struggles represented in my workshop within the hearts and lives of so many ministry leaders. My topic is "Ministry to Women in Crisis". Over half of my group were Women's Ministry Leaders! One by one, at break, at lunch, at dinner, in the ladies room and last night by email, their stories come. My prayers flowed last night along with my tears of gratitude. I am not new to ministry to women in crisis. With the help of my amazing husband and many dear friends, I started a Crisis Pregnancy Center in Tampa, Florida over 20 years ago. When we opened the doors what I expected was to help young women who were facing unplanned pregnancies to find hope and help that would enable them to choose life. What came in the door was abuse, divorce, poverty, sickness and disease, rejection, homelessness, hopelessness and heartbreak. I remember in those days crumbling before the Lord in my fear and panic. What can I do for these people Lord? I have no idea what to say. God gave me many Words over those early days and continues to lead me through His Word every day. Last night as I considered the new territory that He has placed me into, I recalled some of those words. I can be quite a mess at it Lord. I often don't know what to say or what to do. I feel so helpless and sometimes foolish. As I go out this morning to minister to my sisters again, I go in the Foolish Freedom of the Lord. I am on a foolish follower filled with gratitude and love for the opportunity to pray with a sister, listen to a fellow minister who is filled with heartache, encourage a friend to "Stay the Course"!! Let's just be Foolish today friends!! Thank you for stopping by, I am truly blessed! Really---ANYBODY can loose 10 Pounds! Him---"You are overweight--close to 10 pounds!" Me(Close to tears)----"I know, I have really tried, I have pretty much given up all sugar and I have been doing "The SHRED" every chance I get!!! This menopause stuff is making it so difficult. On top of that I am having such a hard time sleeping at night and I get kind of moody sometimes......"
Him---"I am talking about YOUR LUGGAGE Ma'am"
Him(Close to tears)---"Yes ma'am, you are going to have to do something about the extra weight or Pay the extra price!!" Me(wiping my tears away)--"oh, ok". Soooo....My suitcase and I have been working this out together in preparation for this trip. Yesterday, before I flew out here to beautiful Green Bay, Wisconsin to join up with the Lifeway Woman's Ministry Team for Fully Loaded/Living Proof Live Simulcast, we had a serious talk! This is the deal Mrs Samsonite (I assume she IS married since she has little ones that live with her), YOU CAN DO THIS!!! Believe Me, I KNOW this is not easy but you CAN DO IT. I have faith in you! Here is a place to start, cut back on the shoes and the extra jacket. Really, YOU DON"T NEED THEM and you know it. Another thing, you have to learn when to ZIP IT UP! You can not embrace everything! You have to be selective, you have to choose! A lot of things SEEM GOOD but it is not all GOOD! There is a time, a place, a season for Bubble Bath, Books and Body Lotion! You just have to leave some things behind!! Think ahead, “Do I really need this?” "How am I going to feel about it when weigh in comes?" The discussion was tough on her but sometimes, we have to hear the hard stuff in order to go higher, reach the sky, touch the Heavens! In the end, it was good, she passed with FLYING COLORS!! I, on the other hand, needed 4 plastic bins to pass through security!! Pray for me friends. Sugar really is the enemy!! Congratulations to The Biggest Looser!!! Of course, I did cut this guys head off but hey, he deserved it!! Praise the Lord, the GUTS, the Blow Dryer and the Concealer made it to Green Bay!! Hey....Watch for me on the Proverbs 31 Devotions Tomorrow, I am so honored to be there!! This is a God Chasing Ministry!! I have new car. It has all kinds of bells and whistles and some people think it is really a nice car. Too nice maybe. I, however, am not really a "car" person. My Honey is! He loves to try out new models and trades cars as often as possible. He doesn't have a lot of hobbies, or spend money on boats or golf or hunting trips. He just likes cars. New ones. I am still trying to figure out all the gadgets on my car. It answers the phone for me, wether I want it to or not. It remembers how I like my seat when I drive and even tells me how to get where I am going. It even remembers the LAST place I have been in case I want to go there again which is far more than I can usually remember! One thing that I thought was odd about my car is that it has an audio cassette player! My first thought was WHY?? Who needs those anymore?? My last car was 6 years old and it only had a CD player! In any case, I had a bit of a drive to make recently and would be all alone so I decided to grab a teaching series to take along. I like to use my time wisely. When I went my "stash" to choose one, I discovered a very old but very special teaching series that I have had for YEARS on the "Specific Plan of God" for EACH of our lives!! I had not been able to listen to it in a long time since it was on AUDIO TAPE! Imagine that!! The topic was exactly what I had been studying and searching God's Word about over the past weeks and God provided the OLD TOOL that I needed to hear it. My drive when by way too fast. I was as deeply effected by this old teaching as when I first heard it so many years ago. The anointed Word of God does that! It was like a REVIVAL in my car as I was reminded of some of the things that God had shown me over the years, about His plan for my particular ministry and life. I REALLY NEEDED to hear this stuff again as I still sometimes get confused by some of the many options that seem to be drawing me. There are so many "GOOD" God things that surround us but I have always desired to do the EXACT THING that God has for ME to do. I do not want to waste my time, or anyone else's, pursuing things that are not meant to be. I want to do only those things that NO ONE ELSE can do but me. The things that God created ME to do. I want to STAY FOCUSED on those things regardless of the setbacks, the circumstances or the closed doors that might seem to be altering or at least hindering, my course. There is a story in the Bible about a man who approached Jesus and asked how he might go about claiming his eternal life. Jesus told the man, who was apparently very rich in material possessions, that he need to "Sell everything you have and follow me!". I have read that story many times over the years. The obvious point is how difficult it is to give up "things" in order to follow Jesus. As I listened to the teaching today, it struck me, maybe it wasn't the THINGS this guy struggled with. Maybe it was the APPROVAL of others. Maybe it was the ACCEPTANCE of those around him that was so difficult to give up. Maybe it was "What will PEOPLE THINK if I SELL EVERYTHING???" Maybe it was what others would have to give up if HE sold everything? Like if he owned a company or something? I wonder how many people over the centuries have approached places, experiences, ministries, blessings that God has for them but are just not willing to take the chance of looking silly or stupid or expose themselves, or others, to the risk? Do you ever wonder...What will people THINK if I actually pursue this thing that God has put on my heart? What if I fall completely on my face and look like an idiot? What if no one gets it? doesn't understand? Has God put a dream in your heart that is worth "SELLING EVERYTHING" for including your image, the approval of others, the understanding of others? 22That was the last thing the young man expected to hear. And so, crest-fallen, he walked away. He was holding on tight to a lot of things, and he couldn't bear to let go. Praying for my friend who feels like Tamar. I woke up thinking of you this morning. The Lord has kept you steady on my heart. I have called upon His name, His authority, His love, His provision, His passion for you!! You, sweet sister, feel that you have been "raped and thrown away for desolation" but God sees your heartbreak and your loneliness. He sees you as precious, beautiful, valuable and FULL OF NEW POTENTIAL! You are His precious daughter. He has not forgotten you. He has not left you for another and He never will! 11-12"Not only that—count yourselves blessed every time people put you down or throw you out or speak lies about you to discredit me. What it means is that the truth is too close for comfort and they are uncomfortable. You can be glad when that happens—give a cheer, even!—for though they don't like it, I do! And all heaven applauds. And know that you are in good company. My prophets and witnesses have always gotten into this kind of trouble. 13"Let me tell you why you are here. You're here to be salt-seasoning that brings out the God-flavors of this earth. If you lose your saltiness, how will people taste godliness? You've lost your usefulness and will end up in the garbage. 14-16"Here's another way to put it: You're here to be light, bringing out the God-colors in the world. God is not a secret to be kept. We're going public with this, as public as a city on a hill. If I make you light-bearers, you don't think I'm going to hide you under a bucket, do you? I'm putting you on a light stand. Now that I've put you there on a hilltop, on a light stand—shine! Keep open house; be generous with your lives. By opening up to others, you'll prompt people to open up with God, this generous Father in heaven. I have a confession to make. I like country music! Some of it anyway. My music of choice is without a doubt worship music of any kind which is pretty much all I listen to these days in my car, on my ipod and in my home. However, I cut my teeth on Country Music and occasionally wander over to a Country channel on a long car drive or if it is Music Awards night on TV. There is a country song by Toby Keith that was released a few years back. I don't know enough about Toby to have an overall opinion about his songs or his values but I was very struck by this song. I have always felt like he "nailed" an unfortunate truth about us girls sometimes when it comes to life! The song is called, "I want to talk about ME!" You Tube would not net let copy it here but do check it out if you are up for a little boot scootin' bogey! I was recently reading a Bible story that made me think of that song. Yep, God uses all kinds of stuff to help me "get it"! It's the story of Tamar and her not nice brother Amnon found in 2 Samuel 13:1-22. Tamar was the daughter of King David. His Highness David, as you know, had lots of wives and lots of kids. His son Amnon was a bit like his Dad when it came to women and thought he should have anyone his little heart desired whenever his heart desired it. Tamar was Amon's half sister, a fact that did not hinder his lust for her or his longing to "get to know her better". The very sad story of Tamar's trouble with Amon turns out to be one of the many stories in the Bible that could easily turn into an R-Rated movie today. This is not a nice story and is unfortunately, one all to familiar to women today. At the risk of creating a very long post, I have copied it here for the ease of your reading. If you know the story, skip the blue part! In the course of time, Amnon son of David fell in love with Tamar, the beautiful sister of Absalom son of David. Amnon became frustrated to the point of illness on account of his sister Tamar, for she was a virgin, and it seemed impossible for him to do anything to her. Now Amnon had a friend named Jonadab son of Shimeah, David's brother. Jonadab was a very shrewd man. He asked Amnon, "Why do you, the king's son, look so haggard morning after morning? Won't you tell me?" David sent word to Tamar at the palace: "Go to the house of your brother Amnon and prepare some food for him." So Tamar went to the house of her brother Amnon, who was lying down. She took some dough, kneaded it, made the bread in his sight and baked it. Then she took the pan and served him the bread, but he refused to eat. "Send everyone out of here," Amnon said. So everyone left him. Then Amnon said to Tamar, "Bring the food here into my bedroom so I may eat from your hand." And Tamar took the bread she had prepared and brought it to her brother Amnon in his bedroom. But when she took it to him to eat, he grabbed her and said, "Come to bed with me, my sister." "Don't, my brother!" she said to him. "Don't force me. Such a thing should not be done in Israel! Don't do this wicked thing. What about me? Where could I get rid of my disgrace? And what about you? You would be like one of the wicked fools in Israel. Please speak to the king; he will not keep me from being married to you." But he refused to listen to her, and since he was stronger than she, he raped her. "No!" she said to him. "Sending me away would be a greater wrong than what you have already done to me". But he refused to listen to her. He called his personal servant and said, "Get this woman out of here and bolt the door after her." 18 So his servant put her out and bolted the door after her. She was wearing a richly ornamented robe, for this was the kind of garment the virgin daughters of the king wore. Tamar put ashes on her head and tore the ornamented robe she was wearing. She put her hand on her head and went away, weeping aloud as she went. "What about me? Where could I get rid of my disgrace?" I have been there done that! "What about me? Where can I get rid of my disgrace". What WILL THEY THINK and what can I do to avoid it? I have learned over the years that is the enemies best tactic with women. We are surrounded every day with exposure to his con games in one fashion or another. It may be the lure of love, personal sin or the disgusting decision of another, like Tamar faced. Satan has but one goal and that is to steal the purity, dignity and the personal feelings of value of women from their very deepest parts. He is the bad guy! He wants to take you out. He wants to have you in a place of desperation and distortion of circumstances so that you will turn your head and heart completely upon yourself and away from God. He wants to steal your influence, your self confidence and your understanding of the ROYALTY of your Birth and your INHERITANCE in Christ. God's desire is so very opposite. It is ONLY in HIM and the Fullness of His love that we find ourselves. When we look full into His face we will see ourselves, regardless of our circumstances, mistakes, violations, lostness, as He see us....Pure and Holy and Adored by Him. HE is where we can get rid of our disgrace, once and for all! Have you given God ALL of your disgrace? I am having such a fun weekend with my oldest G-Boys (don't tell them I called them that, they think it's "girly"). We have been hanging out since yesterday morning and I am loving every minute. We have seen a movie--"BandSlam" (it was really good BTW); then hurried over to the music store to try out every instrument they have in preparation for the band of the future. We have had popcorn, M&M's, Milkshakes and hamburgers, Mexican food and my requested "Chicken and Yellow Rice". I can not even COUNT the number of pitchers of Sweet Tea that have been downed. Hense...they stayed up until 2am last night watching ANOTHER movie with Aunt Julianna. As for me, by that time I was I snuggled in my bed listening to their laughter and thinking, "This is Heaven!". This morning, bright and early, we were at the mall ready to take on the big waves!! Yep! Surfing in the Mall...gotta love it! Tomorrow night we have a Tampa Bay Devil Rays Game on the agenda. After that, they leave and my house is really quiet. A MESS, but quiet. It gets worse as my Julianna heads back out next week to return to college. Honey and I will empty nesting again very soon. Speaking of FLYING! I head out next week to be a part of the wonderful speaking team for Lifeway Women's Fully Loaded! It comes right before the AWESOME and Exciting Living Proof Live Simulcast! It you live ANYWHERE NEAR Green Bay, Wisconsin, we would love to have you come join us. As for LPL....You can be there from anywhere!!! Check out the BIG CHEESE!! I recently enjoyed a wonderful "Girlfriend Getaway" with Melinda at Traveling the Road Home. We had a wonderful time together traveling to the "She Speaks" conference in North Carolina. Melinda flew into Tampa from Dallas/Ft Worth to keep me company for the 10 hour DRIVE from my home to Charlotte. In order to break our long journey up a bit, we took a short side trip to visit enchanting St Simons Island, Ga! It was a quick but wonderful time. We only had one night and one day to explore the quaint little island so we had to choose wisely. Although our visit came during the heat of the summer, the weather was pleasantly mild and comfortably cooled by the gentle ocean breezes that wander in from the Atlantic. The island is dotted with beautiful beaches, lighthouses and museums. 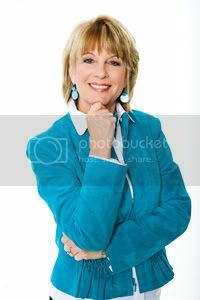 St Simons has a special place in my heart as it was where, as a brand new Christian, I first sat under the anointed teaching of the one and only Kay Arthur. It was also the location that my youngest son Andy and his bride Bethany, choose to be married, not too many years ago. Both events took place at "Epworth by the Sea", a Christian retreat center managed by the Methodist church. St Simons is the spot where John Wesley, founder of Methodism preached his first sermon. The Island is filled with deep spiritual significance and a feeling of God's favor and presence. As part of Georgia's "Golden Isles" it is easy to find a mix of history and adventure behind every ivy covered plantation wall. Life is lazy on St Simon's as vacationers and residents alike wander the shaded bike paths, enjoy a trolley ride or like me and Melinda, drive REALLY s-l-o-w-l-y along the winding coastal roads ooohing and aaawwing and taking pictures for our blogs! The first night, we ate at a yummy seafood restaurant called "Crabdaddys". We enjoyed hot fresh bread that was served with a whipped honey and spice butter. As far as Melinda and I were concerned that alone would have been just fine as the full meal!! Instead we feasted on fresh catch Salmon and my personal favorite, Crab Cakes and Grits! um, um good! The next day we enjoyed a tour around the mysterious and historical little island that is surrounded by beaches, thick marsh land and nature. The island is covered and shaded by Oak trees dripped with moss that have surely shadowed pirates and pilgrims of every surrely sort since the 16th century. Near the Island's north end is historic Ft Frederica and the beautiful Christ's Church, originally built in 1820 and restored in 1886. This is said to be the very spot where John Wesley surrendered his life to the call of God. The church cemetery, protected by an archway entrance with the words: "Enter with Reverence", is the final resting place of the Islands earliest and most notable families. "Endowed with a fine intellect, a cheerful and amiable disposition and most liberal and benevolent feelings. His life was devoted to the duty of redeeming himself most acceptable to His Creator-by doing Most Good to His creatures." Next to Sir John was his wife Rebecca. Living, she was surrounded by friends and Dying, left no enemy"
Pretty awesome huh? I would be happy with that, how about you?? Have you ever wondered how someone might capture your ENTIRE life in a few words?? It got me thinking. The "headstone" of Jesus carried a different declaration. Rather than capture His life in glowing accolades, the words placed above his head were meant to forever fix the charge against him. As opposed to pretty words of praise and admiration, the graveside of Jesus was written to invoke and declare shame, failure and a life of duplicity. "Jesus of Nazareth, King of the Jews"
To Him be the Glory! And because of His Shame, There is LIFE in the Graveyard!! Warning: This post might overwhelm you with wisdom and insight!! Many moons have risen and set since my last missive! No this is not Poccohontas! It's just that I feel that so much has gone into my brain and my spirit so far this year that I really should be smarter or at least more poetic. Somehow, somewhere, all of this amazing input MUST come out!! Must'nt it?? I recently purchased a new IPhone that contains 32 GB's. a measure of storage capacity and data transfer equal to 1 billion (109) bits. The guy at the AT&T store says that is "really allot" and is more than my brain could ever hold. I am not sure that was a compliment. I just arrived home from attending my first ever "Women of Faith" Conference and my brain is MUSH!! How's that for waxing eloquent?? As I been pondering the MANY messages that God had for me in today's conference, I began to really think about some of the amazing teachers/authors/ ministry leaders/business specialist/Dr's/Preachers and God loving girlfriends that God has set me in front of in just the past 7 1/2 months! I started listing just the ones that I could remember off the top of my brain GB'S without searching through files or documents. Here goes just a few of the people who have poured knowledge into my life and heart this year---from a pulpit or a podium! Lisa Welchel, ExMouskateer/Actress, Author, Speaker--and Friend, who so kindly brought me along! This does not include amazing and anointed conversations with women all over the nation, my own girlfriends in God, my own Pastor, my Amigos, my Honey, my family and my children! The above list is by no means exhaustive! God has allowed me to share my story and ministry journey and experience in so many places across the nation this past year as well as attend many training and leadership events as a guest, that I could NEVER remember them all, let alone, list and link each on. Have I changed as a result? Is God more evident in my life? And last but not least......Do I have brain GB's left for more?? I hope so because I really love to learn and to grow deeper in my understanding of God's Word and His ways! Who has been your most memorable teacher so far this year? A bible Study teacher? A mentor? A friend or spouse? How? When? What? has God used to pour wise counsel, teaching and ministry into your life this year? I remember the day (this will date me!) when we used to drive our car up to a gas station and a man in a jumpsuit would come running out and fill our car with gas. While he was doing that, he would take a spray bottle and a cloth and wipe your windshield clean, check the tires and maybe add a bit of air if they were low. Often, this man would know you as a loyal customer and tell you if you were due for an oil check or some kind of regular maintenance on your car. I rebelled for so long after that little man retired and new pumps came in that required me to GET OUT OF MY CAR! on a hot sunny day or a rainy day or a freezing cold day, and PUMP my own gas. I hated that. It was demeaning and STINKY and sometimes I get gasoline on my hands or gas spray on my dress and smell like gasoline all day long. I used to have my honey to take the cars every Sunday and fill them with gas so I wouldn't have to do that. He used to always do that for me. They would just appear in my driveway all ready to roll! On August 1, I ended my latest prayer journal and started a fresh one. I always love that for some reason. It makes me feel like LIFE is fresh and that any bad stuff that I had written or needed or whined to God about in my last journal, is all gone and I am fresh and clean to start a new season of prayer. At the beginning of this new journal, I captured the amazing time that I had at "She Speaks" and I made a list of questions that I have for God as I begin this next "season" of life. A precious friend suggested that I take a walk through the PROVERBS for the next 31 days as I had shared with her my lack of clarity in several KEY areas of my life/ministry. I shared that I have lots of questions for God and really need some wisdom about moving forward with some specific ideas. I started my new journal doing just that and make my way today though Proverbs Chapter 6. Gods Word is so, so good. So faithful. So RIGHT ON and ALIVE! During my quiet time today, He had me go back and RE-READ my requests of Him. My questions list. My brand new FRESH pages of life for the NEXT season written just a few days ago. What could be there that I had already forgotten?? I don't usually go back and reread my words for several weeks at least. I was so humbled and so clearly answered. Maybe what God spoke to me will speak to you today. I pray that it will but be warned it is not pretty! As a matter of fact, I hope it stinks! Pat, sometimes you come before me as if to say "Fill R Up" Lord. Drop your answers into my empty tank and lets get going! We have places to go, people to see, books to write, speeches to make, Grandkids to hang out with, family to serve, a MINISTRY to run! You want to sit in your comfy green "prayer chair" and wait while I "fill your tank" and "clean your windows"?? Daughter, that is not my way. My way is for you to DWELL in my presence. Stay so FULL and Saturated in me and my Word that you will squeeze out with my WILL. Your tank will STAY FULL!! My Spirit and my Favor will spill out on your hands and your clothes and you will SMELL like me. You will automatically do my WILL. You will Walk each day into the places that I would have you go. You want wisdom Pat----Fill Up with Me. You want answers---Fill Up with Me. You want direction---Fill Up with Me. FILL R UP Pat and you will overflow with those things and your tank will never run dry!! ps...If you would like to hear more about Proverbs and my "walk in wisdom" today, check out our Blog at "Surrendering the Secret"
Hello?? Who is this? Is this a sales call? "Pat, It's ME! This is God." "Sorry Lord, I just didn't expect to hear from you today"
Are you like me sometimes and kind of put God in His special "Talk to me" places? We EXPECT to hear from God at church. We EXPECT to hear from God in our Bible Study. We EXPECT to hear from God in our prayer times. But sometimes God speaks the loudest and clearest when we DO NOT EXPECT IT! I just had one of those times. I knew that "She Speaks" is a Christian Woman's Speaking and Writing Conference. I knew that we would be talking ABOUT God and ABOUT His plan for our ministries of life. I knew that God's WORD would be shared and taught in the context of the conference. But I did not drive out of my driveway last Tuesday morning expecting to have an encounter with God that would last for 6 days. I did not expect to have Him show up in such profound and undeniable moments. I did not expect to HEAR from Him in such an unforgettable ways. God began to speak to me from the first day our trip started. He spoke at a lighthouse. He spoke in a graveyard. He spoke at a tiny little church. He spoke at a dilapidated old ministry headquarters whose original founders somewhere, somehow, lost connection with His voice as they got too caught up in their methods. He spoke in the active restoration process of that ministry. He spoke through a cow and He spoke through a barn. He spoke through a faithful woman and He spoke through a man. He spoke though a divine breakfast prayer with an amazing young woman named Sophie. My heart continues to "ponder" the notes and the new Revelation that God brought to my heart this time away. Some can not be clearly articulated by a "wordsmith want-to-be" like me, but a few things are just riding around in my brain like a life raft on a stormy ocean wave. 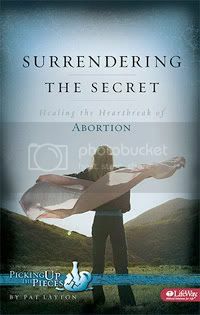 Many things happened BEFORE we arrived at "She Speaks" but that event itself took on a level 5 Hurricane momentum with the very first speech by Lysa Terkeurst. Her speech was entitled "How to Discover Your Remarkable" and her 4 points NAILED my current life circumstances as the gunshot rang to start the weekend race. I highly recommend your ordering that speech as well as the the closing message by Renee Swope and any of the workshops! However, her speech on Saturday night went down in my book as one of the 5 MOST LIFE CHANGING Speeches I have ever heard!!! If you buy this tape and do not agree, you let me know and I will BUY IT BACK!! Jennifer's speech was so clearly the voice of God that the 600 people in the room could barely move when she was done. To see her take the arm of her husband and leave the room was as if to watch God Himself carry her out. It was unforgettable. I was EXPECTING to hear your voice! !